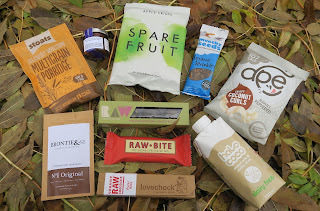 I tried a Sourced Box back when they launched and I really enjoyed it. It's nearly a year since Soured Box launched is it still worth the money? Yes! It is definitely still worth the money. I thought the most recent box (November) was really good, it came with nine full sized products including a drink and there was also a mini jar of almond spread. All the snacks were vegan and relatively healthy too. 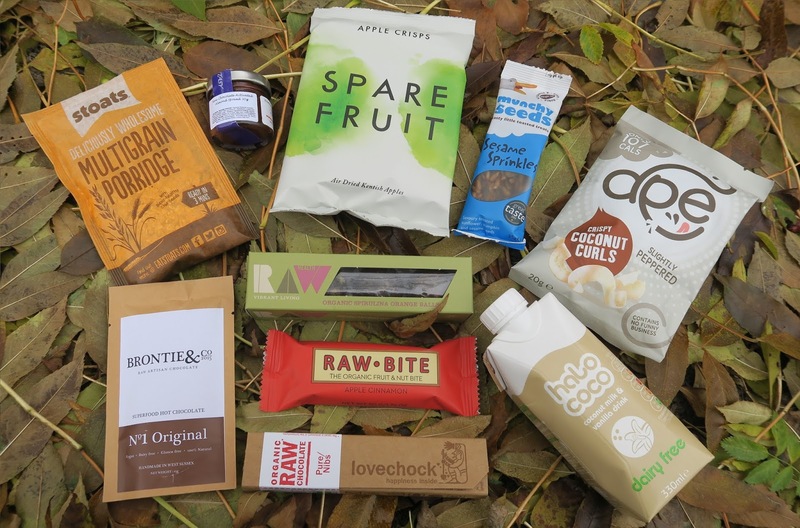 As the name of the box implies all the foods were sourced from companies with a positive environmental outlook. What I really appreciated was that the snacks reflected the season. There was a super food hot chocolate powder and a sachet of multi grain porridge which I've really enjoyed over these recent chilly autumnal mornings. I've reviewed several subscription boxes for Foodie Laura TV, the nature of continually trying new boxes means that I don't often get the same one twice. This repurchase just goes to show how special the Sourced Box is. I've recently been taking a packed lunch and have been hunting around for a snack to pack with it. Something tasty that isn't a cake or a biscuit. I remembered about the Sourced Box and decided to order it again. So far none of the snacks have made it into the lunch box but we have enjoyed sharing them in the evenings as an after dinner treat. What's your favourite packed lunch snack?